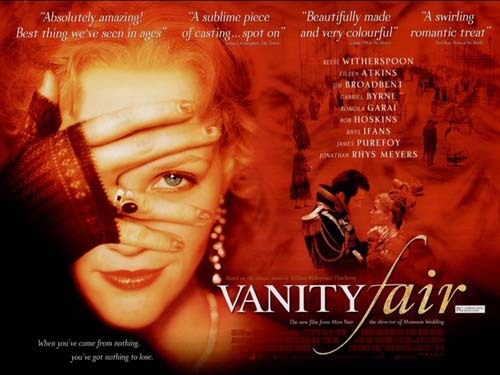 William Makepeace Thackeray’s novel Vanity Fair has been filmed several times for both the big and small screen. Reese Witherspoon is the most recent actress to play the part. The story chronicles the rise in society circles of Becky Sharp in the Victorian era. She starts off as a poor waif in a boarding school where her father teaches. Hungry for a better life she climbs the ladder of respectability. From governess to a full-fledged society wife. Her eye is firmly set on achieving wealth through marriage. Living the lavish lifestyle she has always dreamed of. Alas it all comes crashing down. Soon Becky winds up working as a casino dealer in Germany. But they are not just dealers, but prostitutes as well. Will a new man rescue Becky from this life she now finds herself in?